When most people think of Florida, they think of Orlando, which is fair – it’s hard to beat Disney World! However, drive a couple hours to the west and you’ll find yourself in Tampa, which is a slightly smaller, but also exploding city. There are many great things to do Tampa and the city is growing at an insane rate, marrying together its rich history and expanding to meet the demands of the modern Floridian. Tampa is great because while it is such a unique little-big city, it’s not overwhelming, and after a couple days, you won’t leave town thinking you’ve missed anything. And hey, if you came to Florida for the beach, it’s less than an hour away! So let’s start talking about where to stay in Tampa and then we move to our list of things to do. Tampa has some great attractions, outdoor activities and of course, good places to eat. Doesn’t matter if you are planning a weekend in Tampa or a 10 days family holiday, you need to find the perfect place to stay. 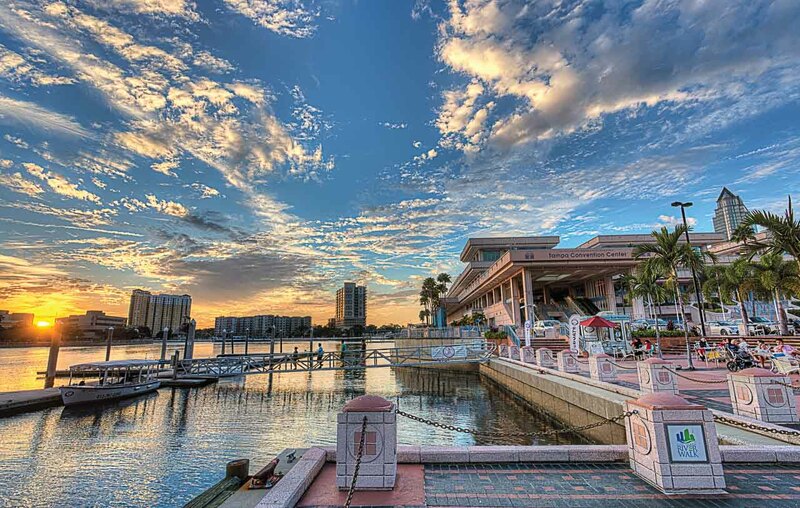 There are many hotels in Tampa, from 5 star to family resorts and boutique guesthouses. To help you find the best place to stay in Tampa we narrow down some of the top hotels, check them out and book in advance to get the best deals and hold the property that matches with your visit to Tampa. 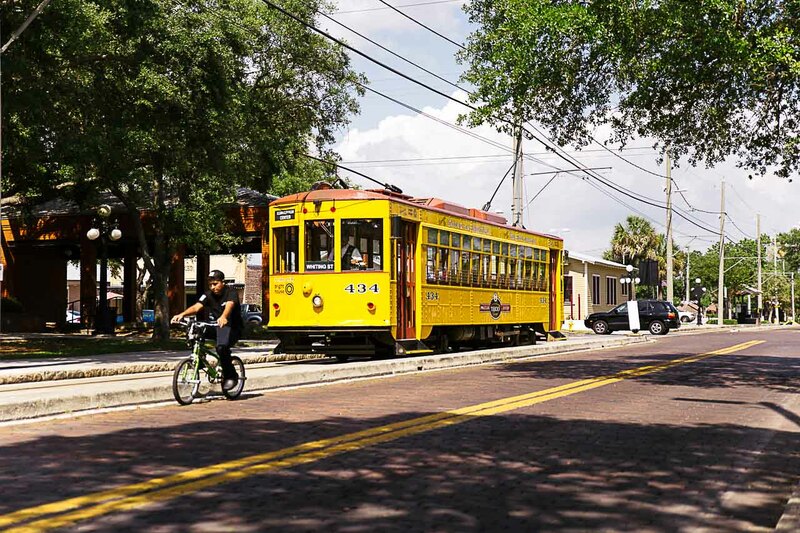 As for finding the best things to do in Tampa to keep you busy, the city has two major areas to offer: Downtown Tampa, and Ybor (pronounced ee-bore) City. These little mini cities (and by that I mean not residential) come bursting with their own personalities. There’s always some sort of something happening, whether it’s a food festival, concert, Trick or Treating for the kids, or a new restaurant opening. There’s a lively energy to Tampa in general, and it’s concentrated in these two areas. Both the day life and the nightlife always have something to offer. The cherry on top? They’re just an Uber away from each other. 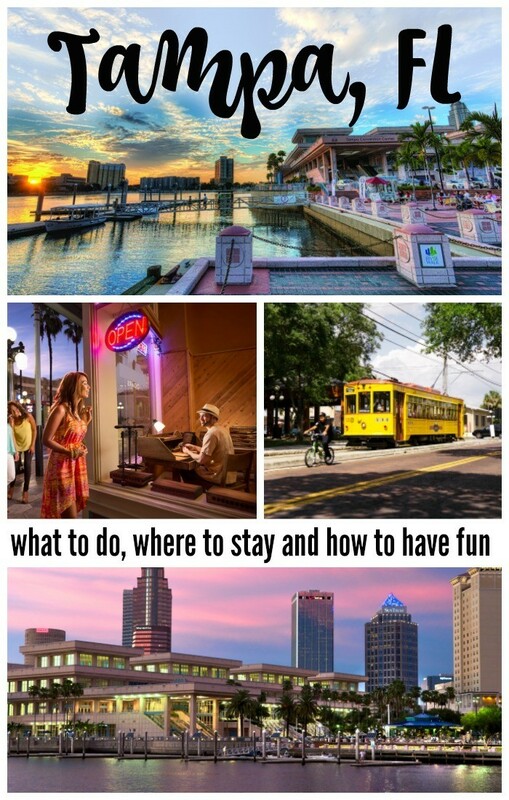 We’ll start off with our recommendations of what to do in Downtown Tampa. 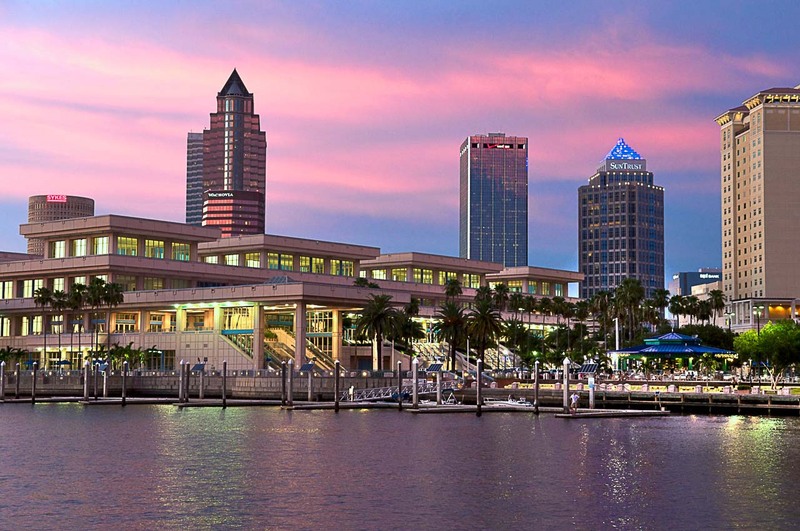 Downtown Tampa is your classic downtown area with lots of independent restaurants, clubs, cafes, river views, and even a water park for the kiddos – one of the top things to do in Tampa with kids. As recently as 2015, Tampa has expanded its Riverwalk area to 1.8 miles of tranquil strolling or biking (complete with bike rentals! ), beautiful lights, great views of the water, even better views of the skyline, and even some musicians, depending on the night. Tampa’s Riverwalk is my favorite place to go when I just need to get out of the house and stretch my legs, but I don’t need all the hustle and bustle of a store or a restaurant. The Riverwalk is also great for people watching; depending on the time of day, you’ll run into all different kinds of people. Next, we have Tampa’s Water Works Park. If you have kids that you need to get running around, and maybe even a cool off on a hot Florida day, this is a good bet. This is one of the free things to in Tampa – just walk right up to it and let the kids go loose. You won’t even have to pay for parking, as long as all the free spots haven’t been taken yet. Trust me, the kids will love getting wet and meeting some new friends instead of sweating! Speaking of parks, Tampa’s Curtis Hixon Park is centrally located and if there’s something happening in Downtown Tampa it’s probably at this park. The park is also connected directly to Tampa’s Riverwalk, making it an ideal place to spend an afternoon. If you catch a food festival, an outdoor concert, or maybe even ice skating in December (fake ice rinks are Florida’s favorite thing on Christmas), you can easily enjoy the Riverwalk, bring your dog or even rent a bicycle for the day. And if you’re just not an outdoorsy kind of person don’t worry, some of the best things to do in Tampa are indoors. There are all sorts of restaurants for you to try, both local and chains. If you just want some Domino’s, Downtown Tampa’s got your back; or, if you want more of a culinary adventure, you can also find a locally owned pizza restaurant. The same goes for a variety of food choices – choose your adventure! Go to the ritzy, yet delicious, Anise Global Gastrobar, or go for something a bit more on the casual side, like Fly Bar, a favorite among the locals. Drive a couple minutes to Ybor City, and you’ll find yourself in an area with a whole different personality. Tampa is home to many of Hispanic descent, and they’re here thanks to Ybor. Ybor is famous for its Cuban heritage and one of the things to do there is to visit the museum that will tell you all about its history. Or, if you’re not interested in museums, you can always partake in some of the culture that still lives in Ybor. Cuban sandwiches are the obvious answer, but even more interesting are the Cuban cigars, which are rolled right in front of your eyes. These cigars are for sale in the shops, as well as in various clubs around Ybor and Downtown Tampa. Of course, much like Downtown Tampa, Ybor is home to all sorts of stores and restaurants. Again, pick some interesting places to visit in Tampa and have fun! You can follow the hipsters, the trend-setters, the Goths, or any other kind of stereotype that will show you a new surprise. Interested in vintage duds? La France is a store full of the most beautiful clothes, shoes, jewelry, and knick-knacks. Or, if you’re more interested in a dog’s skull, head on over to Dysfunctional Grace Art for some Gothic products. Walk a little more and you’ll find the movie theater next to the Ybor streetcar line (which you can ride! ), and behind that, you can find a giant arcade to take the kids to (though let’s be honest, you don’t need kids to have a good time). Or, if you’re not a fan of the arcade, another good thing to do in Tampa is to visit the aquarium, which is also great fun for kids and adults alike. 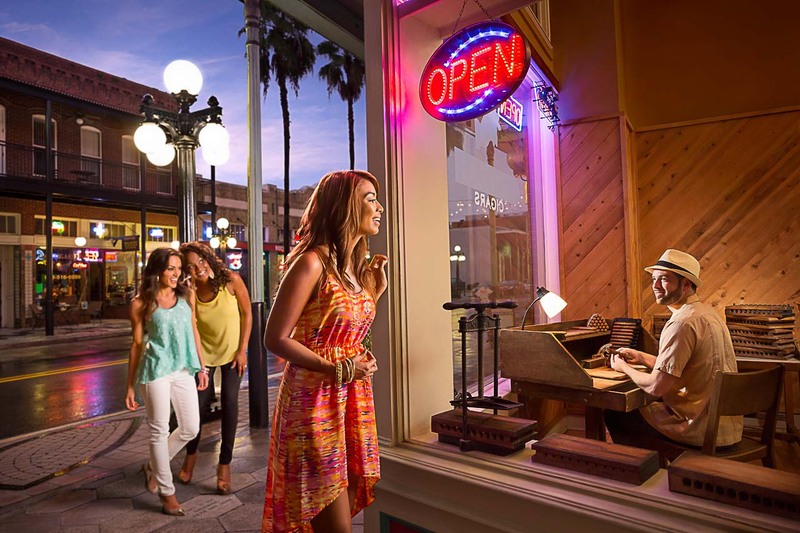 All these attractions are just a stroll away, so enjoy a warm Florida night. Are you looking for unique things to do in Tampa? Head to CineBistro for a movie with reclining seats and a dinner and drink menu, this is one of the romantic things to do in Tampa. Once the movie’s over, the sun has gone down, and maybe you’ve sobered up a bit, go on a ghost tour and learn about the spooky past of this old city. As you can tell, the list of what to do in Tampa is big and has so many different kinds of entertainment that it’s impossible to not have fun. Whether you’re planning a romantic weekend in Tampa, family activities of a friends getaway, it’ll be difficult to get bored. With so much personality offered in two different small cities that are constantly growing and evolving, it’d be a shame to travel to Florida and not visit Tampa and all the great things the city has to has to offer, both to its visitors and to its locals. 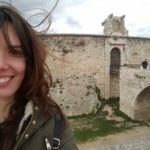 And if you are traveling to Orlando, check out this awesome adult’s guide to enjoy the Universal Studios. 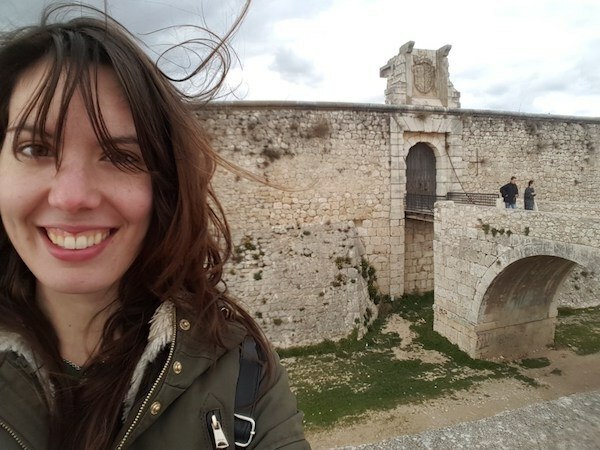 She is on a quest to visit every country in the world and learn as many languages as possible. Follow her story here Crashed Culture and on Twitter.